Washington, DC—Following its two-day strategic planning retreat, The National Council of Asian Pacific Americans announced the election of its new co-chairs, Alvina Yeh, Executive Director of the Asian Pacific American Labor Alliance (APALA) and John C. Yang, President and Executive Director of Asian Americans Advancing Justice—AAJC. Creating a Civic Engagement Committee, with the intent of harnessing and focusing the collective civic outreach strength of coalition members and the Asian American Pacific Islander (AAPI) community. 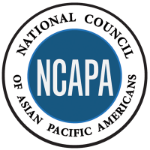 Formally acknowledging and embracing NCAPA’s evolution and responsibility to both policy change and movement building for the AAPI community. Modernizing its membership structure to boldly solidify the foundation of the coalition and strengthen its long-term trajectory. New Co-Chair, Alvina Yeh stated: "I am honored to be elected to the position of co-chair, especially serving with John Yang. I believe our organizational and leadership differences will complement well to build a coalition that can push a policy agenda informed and grounded by our grassroots communities. As Executive Director of an organization that serves to uplift and build power for AAPI workers, I also welcome the chance to further advocate for workers' rights among our advocacy peers." Outgoing Chair, Quyen Dinh, Executive Director of the Southeast Asia Resource Action Center (SEARAC) said: "It has been an honor and privilege to serve NCAPA as its first Southeast Asian American chair. I am so proud of the progress that NCAPA has made in amplifying the voices and power of the AAPI community in our nation’s capital, and the infrastructure that has been built to strengthen NCAPA's capacity for many years to grow its impact. I am proud to call NCAPA an ally to SEARAC's communities. SEARAC looks forward to supporting NCAPA's new leadership and progressive strategy as we collectively build our community's political power." NCAPA National Director Gregg Orton said: “I would like to thank Quyen for her years of leadership to NCAPA. The progress we have made as a coalition over the last 12 months is a direct reflection of her unwavering commitment and belief in the potential power of NCAPA. I am personally grateful for her support and patience as she helped guide me through my first year as National Director.